Clear all jellies and reach 10000 points to complete the level. This level have normal difficulty and you need to break two jellies that are stuck in two single grills. 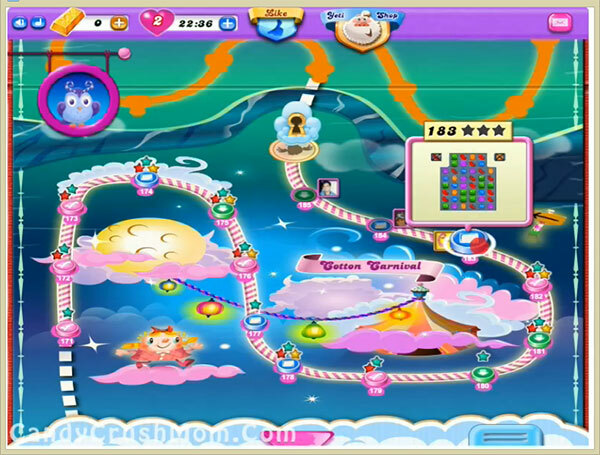 For this level you need to make colorbomb and break with striped candy or same color candies that are under grill. You should also balance the Odus owl while playing with special candies. We completed this level with 68140 score with using colorbomb and other special candies plus got three star score at the end of the level.